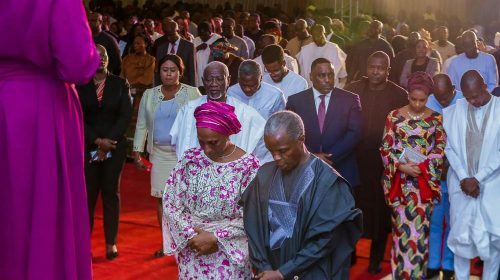 Christian media group, Journalists For Christ (JFC), has unveiled winner of second edition of its Innovative Young Journalists Award in Lagos. The award, which received entries from numerous journalists across Nigeria, had earlier treamed such entries, unveiling three finalists. The finalists had included Hannah Ojo of the Nation newspaper, Abiodun Alade of the Vanguard and Toluwani Eniola of the Punch newpapers. However, Eniola Toluwani stood out, winning the second edition of the award according to the panel of judges comprising of top media trainers and editors. President of Journalists For Christ and online editor at the Nation newspaper, Mr. Lekan Otufodunrin, advised young journalists to focus on their career and take advantage of necessary trainings which can enhance their work. 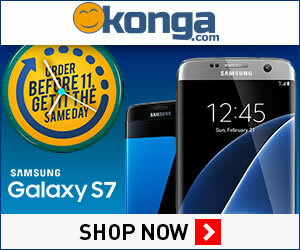 Toluwani Eniola, a graduate of the Univerity of Ado Ekiti also holds a second degree from the University of Lagos. First runner up, Hannah Ojo, is a graduate of the Obafemi Awolowo University, who according to the judges also put in a brilllaint performance just like the second runner up, Abiodun Alade, a graduate of the Lagos State University. The award which was held at the International Press Centre, saw Toluwani Eniola emerged the winner in a keenly contested votes by panel of judges drawn from different media outfit. While responding to the award, Eniola, the 2015 winner of Quill pen award organized by promasidor was grateful to God who has endowed him with grace in order to emerge the winner of the award. “It is absolutely by the grace of God that I came out top for this award. 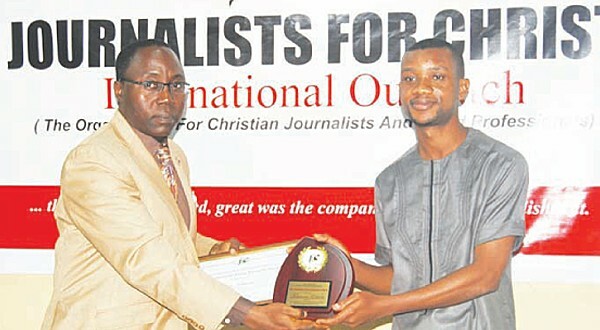 I want to appreciate God and I thank Journalists For Christ fellowship for counting me worthy of this award,” he said. Innovative Young Journalists Award is an award for young Christian journalists who have distinguished themselves in the course of the year with creative and innovative ideas. It would be recalled that Jennifer Ehidiamen won the first edition. Also at the event, Award winning journalist, Mr. Fola Adekeye, enjoined young journalists to uphold the ethics of the profession. Adekeye, who practiced journalism at the Newswatch and Tell magazines, recalled how hard work and the help of God won him media award and foreign fellowship. “God helped me so much during my days in active journalism, it was not all about money and things were not this easy in those days,” he said, encouraging journalists to mind issues and put in their best. Winner of the maiden edition, Jennifer Ehidiamen at the event also challenged young journalists to put God first in whatever they do as that would stand them out. Ehidiamen, a graduate student at the Colombia University in the United States began her journalism at the Nigerian Institute of Journalism, Lagos.